Book in now for the rescheduled July Date! 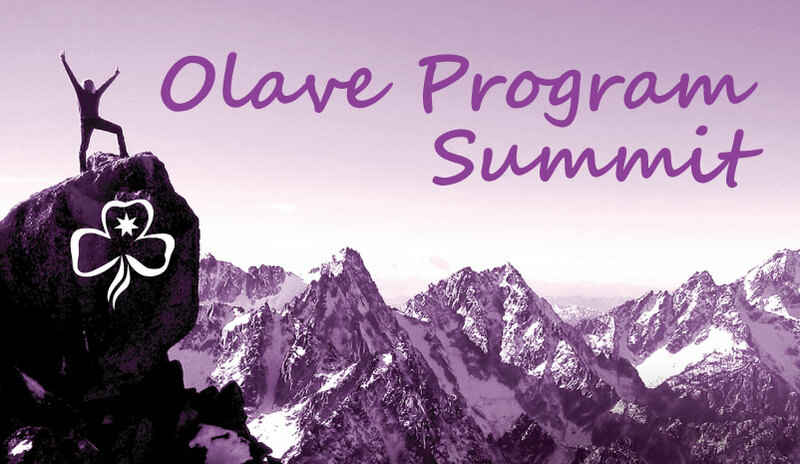 Celebrate 23 years of the Olave Program with a weekend of community and self-development workshops, adventure activities…and sleeping under the stars. Olaves will have the option to camp outdoors, or sleep in indoor accommodation. Come on your own, or with your Peer Group, and meet some amazing like-minded Guides, and…Live for the Challenge! When Registering: Select 'ADD' next to every activity and than list your preference from 1 to 7 (1 being the most preferred) to participate in the offsite activities when you register in the program items area. Note there will additional costs to participate in each activity, more details to follow. You must be a current Member of Girl Guides NSW & ACT in good financial standing to attend. Please make sure your membership is current before registering and have your membership number available to sign up online. Registrations close: 5pm Monday 1 July, unless event is filled prior to this date. No name changes, refunds or transfers after 5pm Monday 1 July. All refund requests must be submitted via email to events@girlguides-nswact.org.au and will only be processed under extenuating circumstances. You must be a current Member of Girl Guides NSW & ACT in good financial standing to attend. Membership must be current before registering. Registrations close 3 weeks prior to event date, unless sold out prior. There are no name changes or refunds after registration close date. All refund requests must be submitted via email to eventsadmin@girlguides-nswact.org.au. Registrations close 4 weeks prior to Course date unless sold out prior. There are no name changes or refunds after the registration close date. Under certain circumstance, within the Courses Department, a transfer rather than a refund may be considered. Transfers will be to the next available equivalent course in the calendar year. All refunds must be requests via email. Refunds are not offered after the registration close date. However, refunds will be considered after the registration close date under extenuating circumstances (e.g. medical emergency or death in the family). If an event is cancelled, registrants will be refunded. However, in the event of the cancellation of a fundraising event, ticket price will be refunded minus the amount of the donation included. If a course is cancelled attendees will be offered a transfer to another instance of the same course.